The building that now houses the Hotel Abat Cisneros has provided accommodation for pilgrims since its original construction in 1563. The conversion of this old monastery building into a hostel in the late 1950s effectively turned it into an establishment of outstanding interest. Later reforms modernised the facilities, ensuring that services provided to guests by the Hotel Abat Cisneros meet the highest standards as regards quality and comfort. The hotel’s location at the heart of the sanctuary, near the basilica, assures visitors an unforgettable stay here, in a peaceful, pleasant atmosphere, with magnificent views of the mountain and the Llobregat Valley. 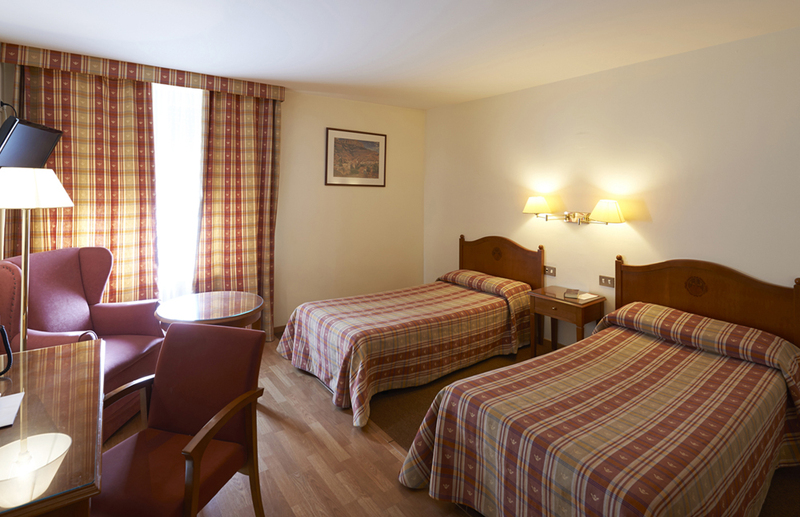 The hotel has 82 rooms with bath or shower, satellite television, telephone, parquet floor and heating. Its total capacity for 153 guests. The prices include for free, the Cremallera Rack Railway train during all your stay. The tickets can be collected at Monistrol Vila Station, where the car park is free of charge.